1 The glyph.The glyph for Aquarius is very simple-two horizontal waves, one just above the other. 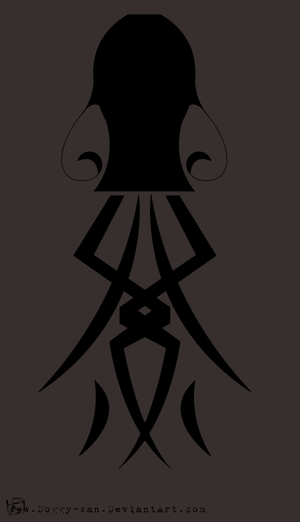 The glyph is meant to depict the water from the Water Bearer's vessel as a symbol of open ended spiritual energy. Because of its simplicity the glyph can be styled in any size, shape and form. 2 Water motifs. Aquarius is an Air sign, but it's also known as the Water Bearer or Water Carrier. According to an ancient Greek myth Aquarius poured water from heaven for days on end. In cultures where the climate was dry, Aquarius was looked on as a kindly God who brought rain when it was most needed. The deep connection between the water element and the sign of Aquarius can a part of the tattoo design. 3 Flowers. Birds of paradise and the ever popular orchids are the flowers associated with Aquarius. These flowers can be tattooed along with the glyph or the Water Bearer image. 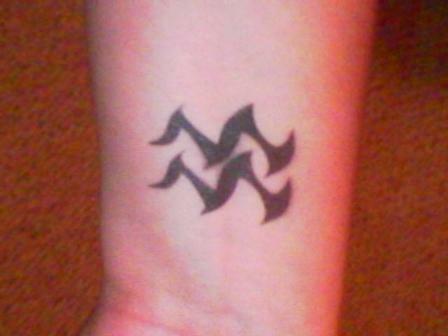 There are numerous ways to turn your tribal Aquarius into a one of a kind tattoo. Tribal tattoos in general have a very distinctive look. However, they are hard to erase or cover up because of the large amount o f ink used. This gives you one more reason to invest time and energy into finding the right tattoo design for you. When it comes to permanent tattoos, "better safe than sorry" should be your personal policy.